An awesome sismance (the sisterly equivalent of a bromance) in post-apocalyptic magic-land! Sumner-Smith, Karina. Radiant. Talos, 2014. Sumner-Smith, Karina. Defiant. Talos, 2015. 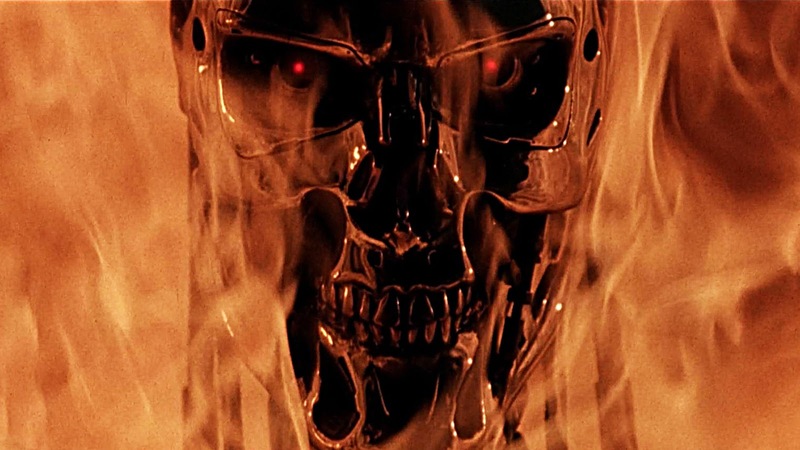 Think back to the near-perfection of Terminator 2. It has it all, right? Excitement, poignancy, a bit of engagement with Deep Stuff, you name it. But have you ever thought about what it doesn't have? Romance. The main characters? An asexual cyborg, an awesome female protagonist whose worth has nothing at all to do with her attractiveness to anyone else, and a (super-annoying) prepubescent boy. The cyborg can be fatherly, and the three of them certainly come to resemble a weird nuclear family, but without the messiness of sexual attraction or desire. "But Zhaoyun, you're always going on and on about romance as the Best Thing Ever—what gives?" It's true, I'm about as romantic a person as there is. In sentimentality, I stand second to none: I cry at virtually anything. I'm almost as bad as that Brendan Fraser character in Bedazzled (you know the one I mean--Sunset Man!). The eternal dream of heterosexual union is near and dear to my mushy heart. Nonetheless, even for a terminal romantic like me, sometimes it's nice for books and movies to explore other dreams, and other kinds of love. This brings us, at last, to Karina Sumner-Smith's glorious Towers trilogy, of which I've read the first two (in my defense, the third book has yet to be released!). At its core is the mighty bond of love (possibly Sapphic but seemingly asexual and, even if romantic in nature, obviously impractical!) between two young women and their very different types of magic. The first two novels are riveting (after the brilliant start with Radiant, Sumner-Smith may have accomplished that rarest of feats, actually surpassing her first novel with the sequel), despite knowing that obviously neither character is going to find true love—Sumner-Smith gently but firmly makes it clear that there is more to young women than who they're going to fall in love with, in the process throwing down the gauntlet on like 99% of cultural products nowadays (my favorite example is The Hundred, which is like a reality TV tell-all complete with webs of jealousy and almost immediate, and constant, speculation about who will shack up with whom in heterosexual bliss, but love triangles and so forth abound in post-apocalyptic/sci-fantasy fiction, e.g. Twilight, The Hunger Games, etc.). As Vince Vaughn says in every movie, we "are [or can/should be] better than this." Ask yourself: do we really only care about characters when we can be confident they'll end up together? Is that all there is to their stories? 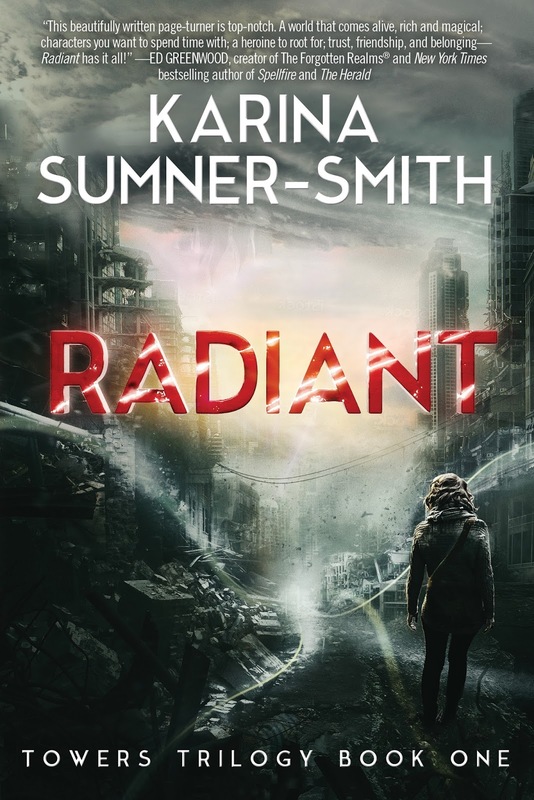 Sumner-Smith has produced a resounding rebuttal in Radiant and Defiant (and, one hopes, a climactic conclusion in the eagerly awaited third volume!). Xhea and Shai form an unlikely friendship over these two books, and it certainly kept this reader entertained despite a serious addiction to romance and no prospect of a fix anytime in the future. Personally, I think it would have been even cooler if Sumner-Smith had taken it one step further and played with reader expectations (which, of course, will be overwhelmingly for some sort of heterosexual pairing by each novel's end) by introducing a likely male suitor only for him to suffer some grisly fate, or turn out to be gay, or something like that. For better or worse, Sumner-Smith has a far lighter touch than that, and weaves together a mesmerizing tale without the biggest crutch of all, romantic love. 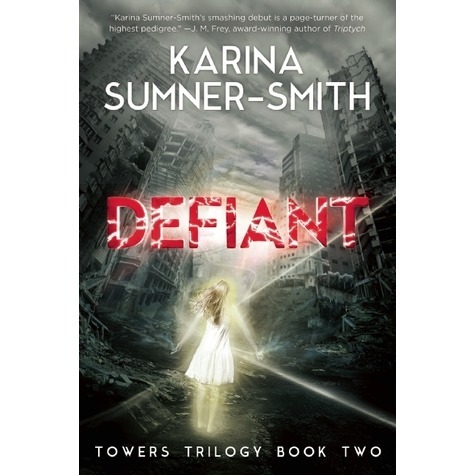 To understand just how momentous an accomplishment this is, especially in this particular sub-genre of post-apocalyptic sci-fantasy, imagine that you didn't have me singing the series' praises, explaining how great and occasionally downright poetic the writing is, the delightfully rapid pacing and the extremely well-rounded characters. Instead, all you have is the following tag-line: "it's about two girls, one of whom is a ghost, and there are basically no boys in the story at all." Sound like a book you want to pick up? And the truth is, these are books we all should pick up, because it's such a wonderful series, but I have no idea how Sumner-Smith managed to convince the publishing industry to take a chance on her. I'm just glad she managed it, because this is the only sismance I've ever encountered and it's awesome! 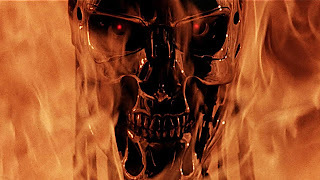 Nerd coefficient: 9/10 "A standout in its category"
Zhaoyun, Terminator-2/sismance lover by day, regular lover by night, has been tearfully, joyfully reviewing books and other stuff here on Nerds of a Feather since 2013.